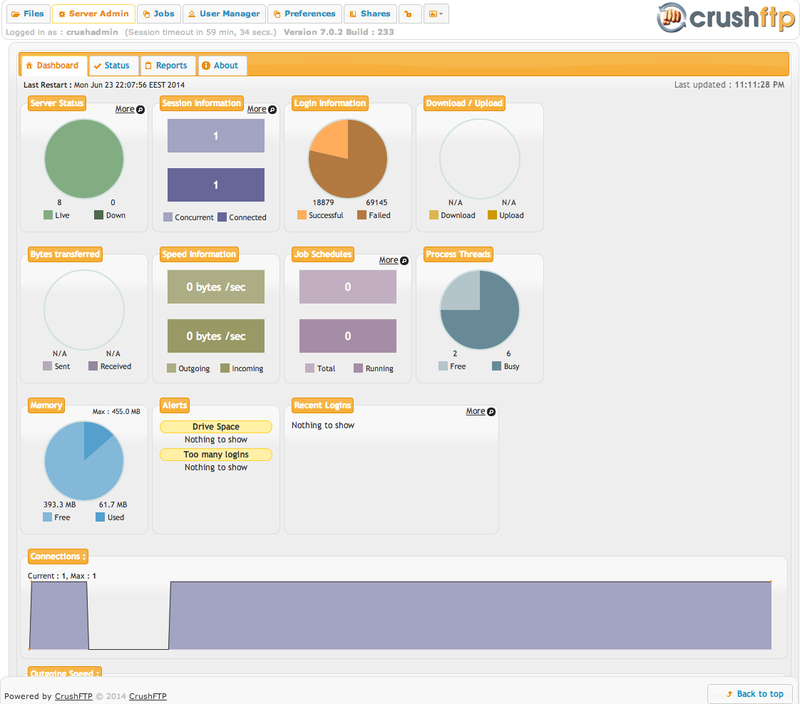 The main administration screen in CrushFTP allows you to see at a glance what your server is doing. From there you can check out the real time logging, and graphs. You can right click on the server items to restart individual ports, or stop them if you want them to be unavailable. You can right click on the statistics area to reset these basic statistics that are begin shown.